The University of Illinois appears in our ranking of the Top 30 Best Online Master’s in Computer Science Degree Programs. The graduate-level computer science degree at the University of Illinois has been known for its academic rigor and excellence by industry for some time, and academic program developers at the University of Illinois leveraged the popularity of the traditional degree to create a completely online version. While many academic disciplines strain to translate their traditional course offerings into effective online formats, most computer science programs like the Masters of Computer Science (MCS) offered at the University of Illinois can easily make the transition. The online MCS degree program gives students the same course offerings and level of faculty engagement as its traditional counterpart. This format alleviates the common concern about the quality of online programs versus traditional ones that busy professionals have when they want to pursue their academic dreams while maintaining full time employment. Online MCS degree students must complete 32 credit hours of courses, and no thesis is required for graduation. Some examples of course topics taken by students enrolled in the online MCS program include artificial intelligence, digital forensics and advanced data management. This University of Illinois academic program is ranked fifth in the nation and has highly competitive admission standards. For example, most students have computer science or engineering undergraduate academic backgrounds, and they earned high grades while participating in those programs. Subsequently, students need a grade point average minimum of 3.2 on a 4.0 scale to be seriously considered for admission into the university’s online MCS program, but the average student enters this University of Illinois program with much higher scores. The University of Illinois is internationally known as a leader in higher education. Innovative research and outstanding faculty help the university maintain its competitive edge. At the University of Illinois, 17 academic colleges and divisions administer 150 undergraduate and 100 graduate degree programs relating to subjects like the natural sciences, engineering, liberal arts and law. The Nobel laureate producing school welcomes international students, and it is ranked second in the nation for the highest number of enrolled international students. The University of Illinois was founded over 150 years ago, and it now has campuses in the cities of Chicago, Champaign-Urbana and Springfield. Multiple, physical campuses are just one component of the school’s strategy to make their outstanding educational programs available to a greater number of qualified candidates. The school has launched over 200 online course offerings that give more class schedule flexibility to current University of Illinois students; it also has completely online degree programs in popular disciplines like computer science. The University of Illinois is accredited by the North Central Association of Colleges and Schools. Many of its departments, divisions, and colleges have separate accreditation credentials relating to academic disciplines that they represent. For example, the College of Business holds an Association of Advanced Collegiate Schools of Business accreditation for its undergraduate business and accounting programs, and several undergraduate degree programs within the school’s College of Engineering are covered under the Engineering Accreditation Commission of ABET. The University of Illinois receives more admission applications than the school is able to accept each year. Since the admission process is so competitive, prospective students must be prepared to complete their applications in a thorough and timely manner. The types of information that candidates must provide for their admission applications are personal contact information, proof of citizenship, academic degree program of interest, academic history and credentials, aptitude test scores, personal statement of purpose and references. The application process for undergraduate and graduate school students is very similar. A prospective undergraduate University of Illinois student must list their high school diploma or equivalency, any college courses taken and associated grade point averages, but a graduate school applicant must also include their undergraduate degree information within the application package. Most academic departments require their applicants to have achieved a minimum grade point average of 3.0 on a 4.0 scale. Additionally, undergraduate applicants would submit aptitude test scores related to the SAT or ACT, and graduate applicants include their GRE or GMAT scores for consideration. Nearly all University of Illinois program departments have published lists of minimum and average scores for students to use as criteria for admission. Many departments require graduate students to include copies of their updated resumes within their application packages. The application submission time frame for incoming undergraduate freshmen is the first day of September to the first day of December. Transfer students must have their applications submitted between the first day of September and the 15th day of October for the Spring Semester and between the first day of September and the first day of March for the Fall Semester. Application submission dates for the Graduate College is dependent on requirements set by individual programs. For instance, the graduate computer science department’s application deadlines are January 15th and October 15th for the Fall and Spring Semesters respectively. 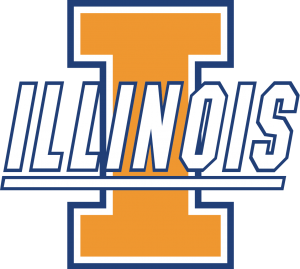 Since the University of Illinois is a public school, residents rely on it for quality education at a relatively affordable price. The school’s base rate of tuition for in-state residents is between $16,000-$21,000 per year; when other fees like room, board, books, and supplies are included, the total yearly base cost for attending the school is between $31,000 and $36,000 for in-state students. Out of state students can expect to pay a base rate of 40 percent higher than their in-state peers, and international students pay about 48 percent more than in-state students. Additionally, departments like the ones for engineering, the sciences, business, and others may charge higher tuition rates. There are several ways that students pay for their college tuition and fees, and some of them include loans, scholarships, grants and work-study programs. The Free Application for Federal Student Aid is the most common type of student loan available to university students; students can apply for private student loans as well. Both need and merit-based scholarships are awarded to University of Illinois students, and many of them are associated with the students’ chosen academic major. One of the most significant and unique financial aid products offered by the school is its Children of Veterans Tuition Waiver. In state students who can provide the school with proof of their parents’ military service get their tuition completely waived for up to four years. Work study options often provide students with valuable work experience in their chosen career fields as well as opportunities to earn money for school tuition and fees. Interested in learning more about computer science at the University of Illinois? Click here.